Instagram is a place to grow your reach, create engaged fans, and convert them into customers. 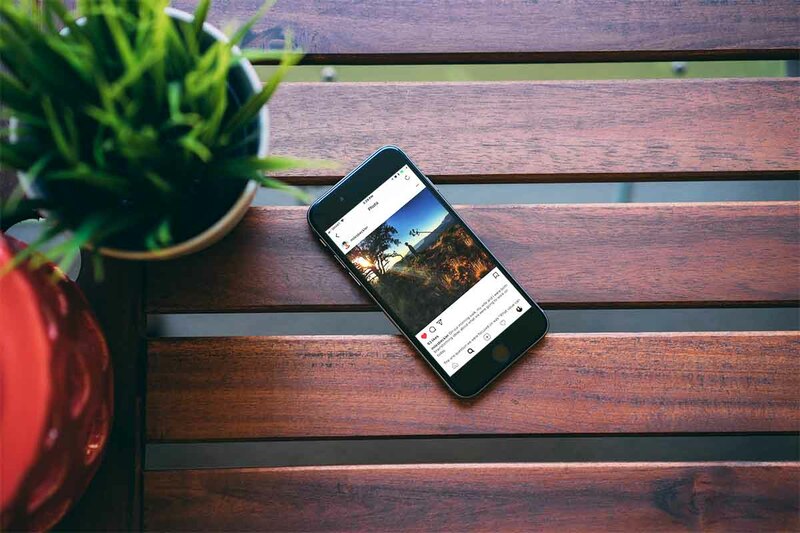 Here is everything you need to know to market efficiently and effectively on Instagram. 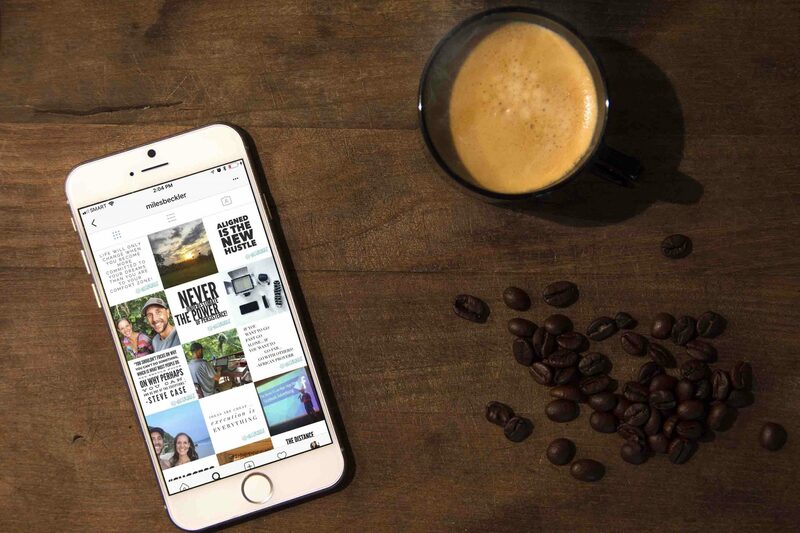 Your Instagram account is your brand’s online magazine. Your posts are like flipping through a magazine, looking at pictures and deciding if they want to read more or move along. 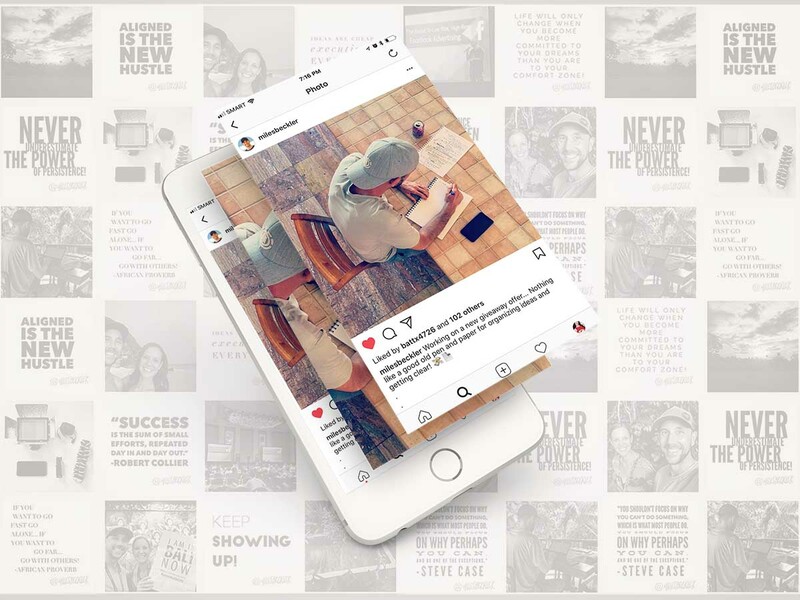 In your magazine you want to quickly show Instagram traffic the vision, inspiration, look, and excitement around your brand and what you're selling. First you have to ask yourself “Is my audience on Instagram? Who is on Instagram and Should You Be Too? Demographically, 68 percent of Instagram is female. A little less than Pinterest but a little more than Facebook. 80 percent of Instagram users are outside of the USA. 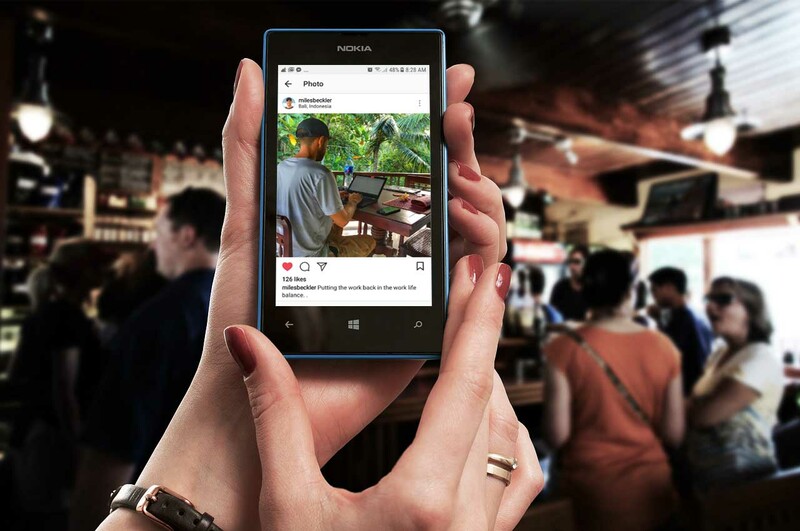 92 percent of Instagram users are 18 to 49. 59 percent are 18 to 29. 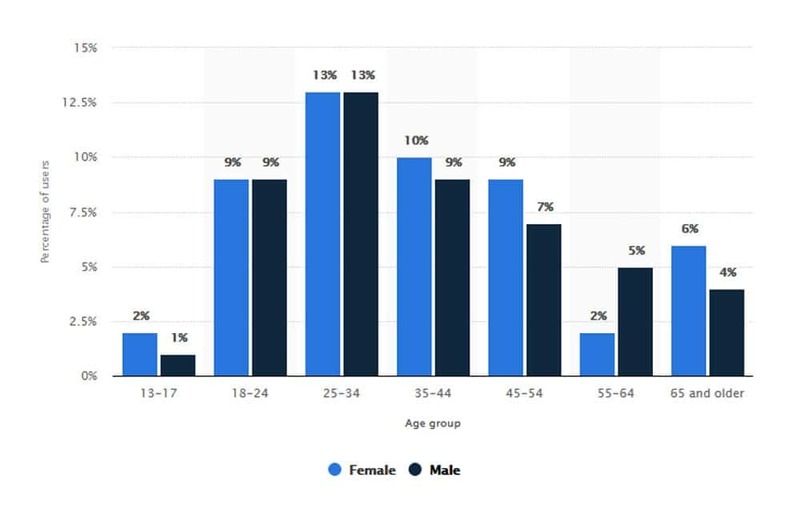 What can we take from this data is number one; if you're targeting females, especially globally, and if they're under twenty nine years old, you absolutely have to be on Instagram or your missing the boat! With that said, my average demographic tilts towards males ages 25-44. So it's worthy of my attention as well. One thing that we've seen through social media in general is that new social media networks start off younger. And then, over time, trend older. My wife’s niche is on the younger end of Instagram’s audience. Some of her best buyers are a little bit older than the Instagram demographic. But she is still focusing on Instagram because her audience has grandchildren. Over the next five 10 years they're going to flock to instagram more and more. Even if your audience is a little bit older it may be worthwhile to start establishing authority and a presence there. It's the grandparental fact. We've seen Facebook's demographic sway and is still swaying towards the older demographics. As the the young kids go to the new platform, their parents follow them to the new platform. My mom and dad have both created an Instagram account recently. If your demographics aren’t in the 59 percent range and you feel early, don’t worry! It will be going in that direction. It's still great to build your foundation on Instagram. 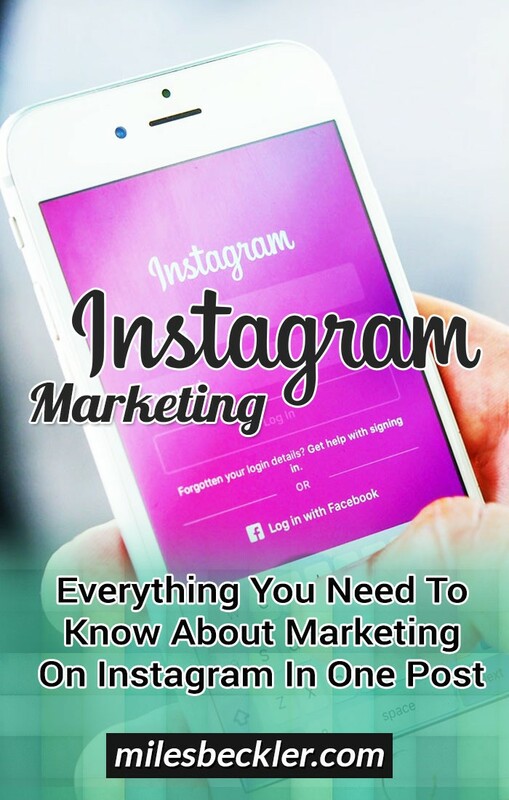 The main goal of having a marketing on Instagram is to connect with and convert your ideal customers and clients. But if you're targeting retired golfers who are in their 70s, who are male; Instagram probably isn't your place. Traffic is not something we create. Traffic is out there. Traffic is happening. Billions and billions and clicks and visitors are online already and they're all on a handful of apps or web sites. That’s your number one goal. You have to identify where your traffic is, right now. Know your customer, or Avatar. Know where they are and get your message in front of them. So is your target audience on Instagram?. Are they likely to be a attracted there in the future?. If so dive into Instagram, if not you probably want to focus that energy elsewhere. Here’s how to maximize profit from Instagram Marketing. First of all you need to create an account. You have the choice to either use your personal name or your brand name. We have examples on both ends. Miles is @MilesBeckler and my wife Melanie is @askangels so come up with your Instagram handle. When you're signing up you have your handle and you have your name. When you go to my account notice I actually replaced my name with entrepreneur/marketer. So I'm @MilesBeckler and then it says entrepreneur/marketer and then it goes into my bio. This is a little hack for me to stuff two keywords that are hyper relevant instead of my name being repeated again. I didn't feel it was necessary for me to be @MilesBeckler and then say Miles Beckler and duplicate that out. You have such little information and so few characters I wanted to get a couple of keywords in there so if somebody searches entrepreneur or marketer they have a better chance of finding me. So you have your @handle and your name. Next you want to set up your bio. It's that seven second pitch to convert your idea to potential customers and clients. First of all this is not about you, this is about your audience. We're going to have an awesome fun time there at the castle and opinionator. That is the most important thing to cover in your bio. What are they going to be inspired about? What are they going to get excited about by following you on Instagram? Once you have that if you still have room you can include a little bit about yourself as well as where you are. Your e-mail address, your phone number, your location, that sort of thing. But really what’s in it for them what are they going to learn? What are they going to get excited about by following you on Instagram. That's your bio. So milesbeckler is my user name. Entrepreneur, Marketer is what I put as my name. So when you pull up my bio you first see. 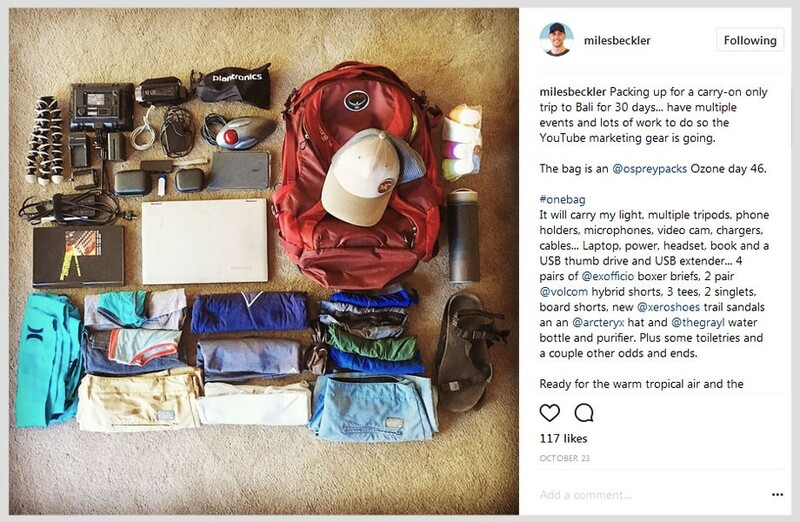 Milesbeckler, then you see Entrepreneur, Marketer in bold where most people would put Miles Beckler because that is their name. You have such little space in the bio so I wanted to use these two extra words to stuff a few keywords in and expand my reach. It also saved those two words from taking up space in the bio description section where I can have more words available for my birthday party invitation. Next you want a description that is short and sweet. Here's what's in it for you. You can use emoji’s to break up and kind of categorize your bio. I wanted to really convey that there is nothing to buy. What’s in it for them in the description and get this free. With the link reconveying what is behind the link really is free as well. If you're giving away a 10 step guide or an ebook you might want to do /tests or /guide or something like that. I also made that link unique and is only on my Instagram profile so that it’s Join my list trackable. I can now see how many people click on that link. That way I can track my return on energy invested here. Do not use any joining my newsletter stuff. Those days are gone where that is effective. This is top of the funnel stuff. A landing page on your Instagram profile. The bio is so important you have one link. And you have 7 seconds to make them want to click it. It’s not about your product, it’s not the widget that you sell. The product is the benefit that they get in their life when they buy and use your thing. Our ultimate goal is converting clients and customers bringing them into your business into your brand. On Instagram I'm going with a broader picture because I think my Instagram people are more interested in the basics or in how to make money. So I'm going to create a unique guide that's going to be given away through Instagram because I think it's going to be more enticing for them based on the demographic and my research of the people on the platform. So important things to mention here. Don't wait to get going get going because your current guide or offer is not perfect for Instagram marketing. Start with what you do have. Optimize and adjust as you go to keep making it better. Every user is tuned into WIIFM. Answer that and you will have higher conversions coming from your Instagram marketing. What are the colors of your brand? What is your brand going to look like in broader picture? You want to have consistency in your content. 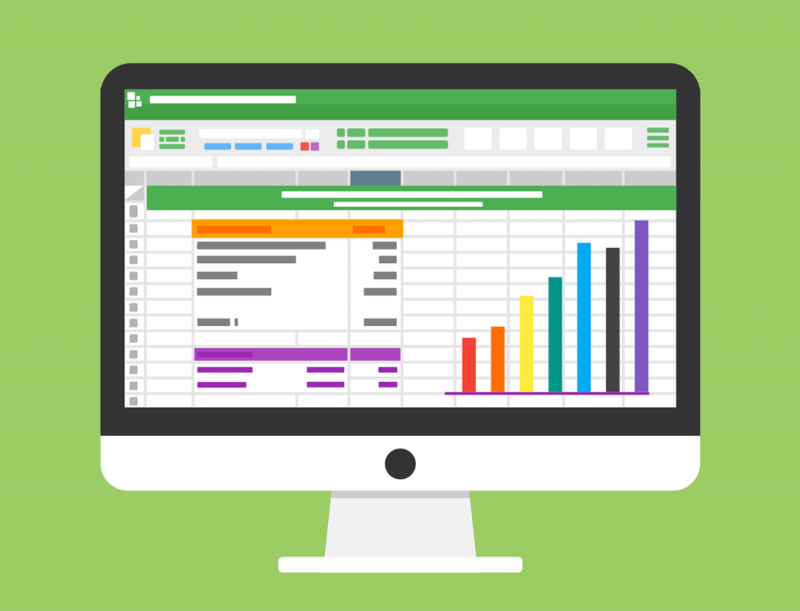 What do you have going on your website already? Facebook? Pinterest? Bring those colors, fonts, and themes to Instagram so when your users see you here they instantly recognize you. If you don’t already have a brand look decide that now. Less is more here so your content starts to have consistency and your followers know it is from you at first glance. Instagram marketing is all about pictures and if you’re not a photographer what do you do? We don’t have to be professional photographers but we want to do as best as we can. Look at the angles the photographers are using. The angle makes a huge difference in your photography and really for building out that visually appealing brand. They need to be catchy and look good. Recreate photos you find that bring you joy. Take photos often and grow as an Instagrammer. You can take as many pictures as you want so to use that to your advantage. We found a few apps that help us with a more polished finished product. It's free it's on IOS and Android. When you take a picture open it up in snapseed and run the HDR filter and maybe the total contrast filter too. We use it a lot. I use it a ton and it just makes pictures pop. They get that wow factor and that gets more likes, more engagement. You have your individual posts which you want to look good but then when someone comes in and checks out your profile to determine if they want to follow you they're going to look at your feed. And so this is really why it's important to cycle through post types. So you want any of your top nine posts to cover all of those things that you want your brand to convey to first time visitors. You want them to feel your cohesive well put together profile which really comes through having a variety of different post types and having a little bit of a consciousness around it. If you want to be able to look at how your feed is going to work. In the future there is a scheduling up called planoly that lets you see in advance and you can kind of organize your grid and just make sure it has that cohesive feel. Having a post cycle sets expectations. When they go look and they see your your past posts all at once. In a glance get an idea of what they're signing up for if they follow you and having a little bit of symmetry and having a little bit of design thought there matters. We have to take pictures and post them one at a time now, but at the same time you've got to be thinking about what that's going to look like as a cohesive landing page. How do we want to introduce ourselves when they land on our profile? Seasonal photos, shots of your product, action screenshots, audience proof, pictures of your customers using your product, screenshots of testimonials your customers sent you via email or a facebook review. Pictures of people faces, selfies. As humans we naturally like looking at other humans use this to your benefit. If you don't want pictures of you, figure out a way to get pictures of your customers or people using your product. Landscape photos, beautiful scenery, food. If it ties back to your brand put it in your post cycle. A big one is memes and quotes. Find quotes and put a picture behind the quote and add them into your post cycle. Just go to Google type quotes. Quotes about inspiration, quotes about Einstein, quotes about knowledge, quotes about motivation, etc. Within about 30 seconds to a minute you can take a basic quote and you can get it looking very visually appealing. Wordswag is a fantastic app for this. Typorama is another one. There's a bunch of them. There are apps for your phone for basic graphics design stuff. Kanva would be a web based one that you could use. Another way to go about this with the quotes that I really like is go find what's performing really well for others. The good thing about figuring out what this is for your brand is you don't get stuck. 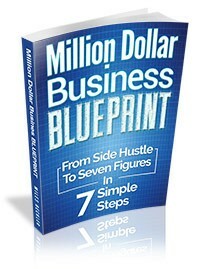 You have a blueprint to follow. I posted a picture of a flower yesterday. That means today I'm posting a quote and an angel card. I use eleven hundred by eleven hundred pixels image size on Instagram. You don’t want to use the same image size on Instagram, Pinterest, and Facebook. You can use the same image just crop it to fit the platform that you are posting it to. I recommend including emoji’s. Figure out which ones you like and then use them in your descriptions. It seems like the best way to go about using hashtags is to put them in the first comment. So you publish your image and description and then right away because you want to be the first commenter go in and comment with 25 to 30 relevant hashtags for your brand. 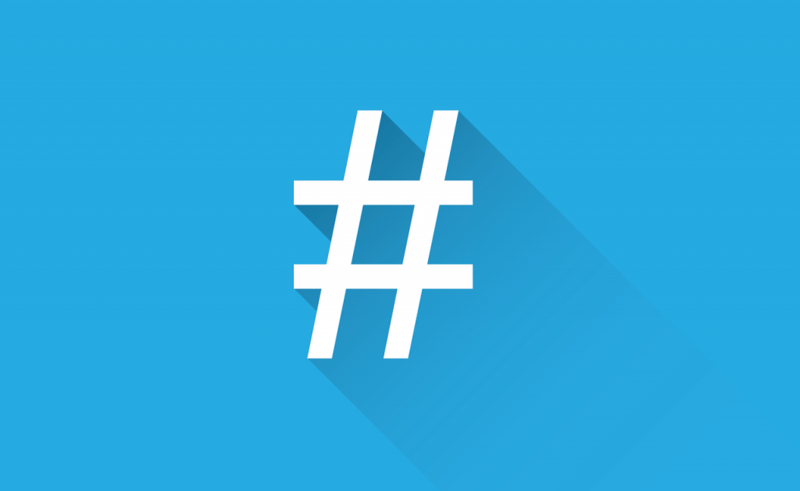 We'll give you a few tricks about how to focus hashtags in just a minute. I wanted to explain how to actually post the hashtags. You want to do five bullets or line breaks. This just keeps your account from looking spammy. Again this is your brand. This is your brand magazine so that's what we want users to experience. Then the hashtags are kind of behind the scenes getting people to the content. So we've got you going. You understand how to get and take your pictures, publish pictures, you get the core of it. But then how do you build an audience right? How do you build a following on there because that's what's important? My goal is not to help you become insta-famous though. There are farms where you can buy followers. There's ways to go about this to skew your numbers in a fake way. To give you big numbers but no engagement. That's going to actually kill your account from reaching real people. The goal here is to build an audience of real people who actually like you, who have a high likelihood of wanting your products and engaging with them. It's difficult to get that momentum going, it takes effort, but it's super simple at the same time. The first big thing for you to do is find out who are the top 20 influencers in your space. Accounts who currently have your audience. So go find the leaders in your niche who are posting about the things that you're about. Who you know for a fact that if they like this person they'll love my content. Make sure those 20 influencers have high engagement. You might look at their account and think, oh man 1.2 million followers, and then you go look at a couple of their posts and their only getting 30 engagements on a post. You know they bought all of those followers. And that's not who you want. You're looking for the people who have a high number of engagements on every post based on how many followers they have. Focus more on influencers instead of celebrities though. One of mine for example is Russell Brunson. I think he has around 7,000 followers. Anybody into internet marketing though knows who he is and they know he's good at what he does. But he only has 7000 followers. But they're real followers, they’re real people who do funnels. They want to drive traffic they want to build a business online. Perfect if they like him odds are they're going to love my stuff. So he's one of them for me as an example. If you don't know who it is in your niche go on Amazon and look at the best sellers in your your niche, go find the largest blogs in your niche. Come up with a list of hashtags that people are using. 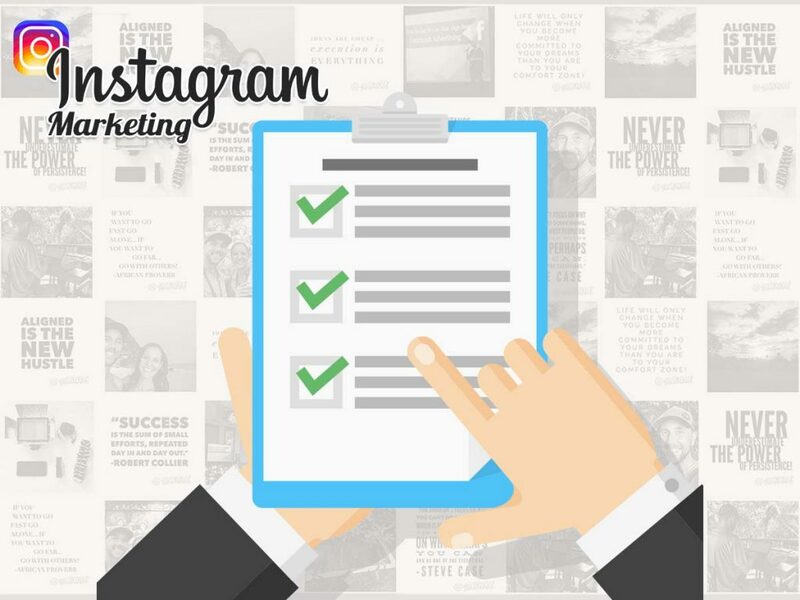 Determine the hashtags you will use by searching for them on Instagram. Go to search and on the hashtag tab search keywords. What you are looking for is the number that populates after the search is done. You want keep the ones that yield medium numbered results. If the number of times the hashtag was used is too small like under a thousand, there's not enough volume there for you to be able to leverage that hashtag. If it is too large a number, a million or five million, then it's going to be too big and you're going to disappear from it before you are noticed. So you're looking for those ones that are in that middle range 10,000 to 15,000. It varies on the niche though as well. It could be 5000 for a niche, 50 or 100 thousand. Just be paying attention to the range of numbers you are getting when searching your hashtags and keep the ones that are in the middle. 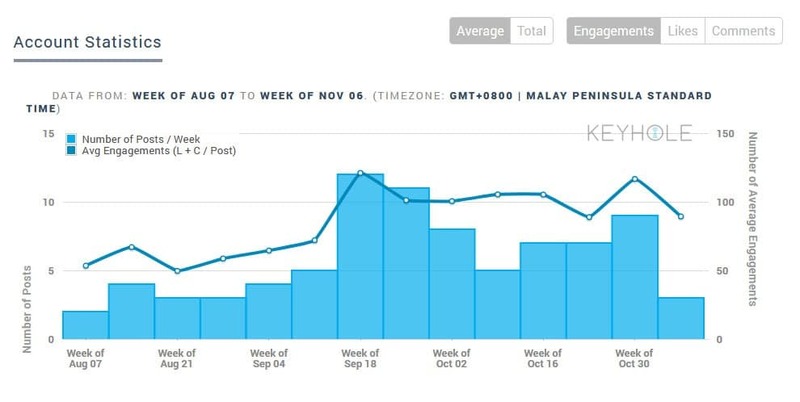 There is an app for iPhone called command analytics & stats for Instagram marketing. With command you can type in a hash tag and it will give you a list of hundreds of relevant hashtags. I have multiple lists of 30 hashtags each. I have inspiration sets, entrepreneur sets, and marketing sets. I have them saved on a notepad on my phone with the 5 new paragraph period thing in front of each set. When I post I just go and copy the set of hashtags and periods, and paste it as the first comment. Go wide with your hashtags. Mix in some big ones if you really want variety. Number one I would say if you have a younger demographic they're probably following more people so you're able to post a little bit more without blowing up their feed. If you have an older demographic there's a chance you are their entire Instagram with two other people. So if you're posting four or five times a day and there are an older demographic they might get annoyed with your posts because you're pushing down the pictures of their grandkids. See what the most engaged influencers in your niche are doing and copy them. Two to three times a day is sufficient but no more than seven. 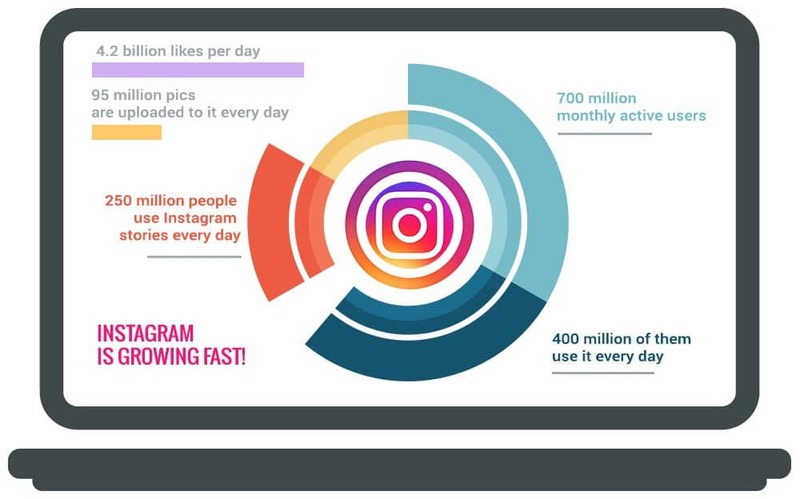 Engagement is the real power of Instagram marketing. 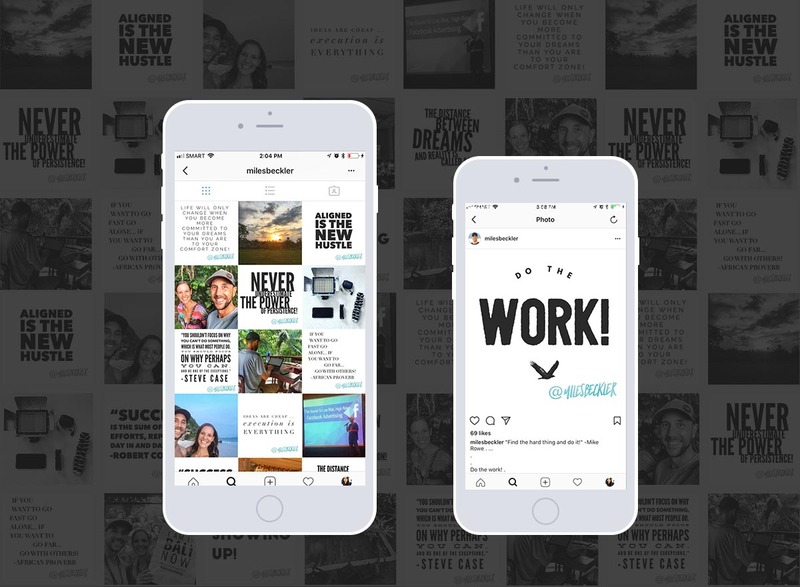 So you've got to think when Instagram made the shift from a chronological feed to an algorithm driven one, what they're doing is they're looking at the engagement that the posts receive quickly. Once an image is posted and images that get really good engagement really quickly are going to get more reach and more exposure. So the name of the game and what I'm getting at here is engagement is key. It's not the hashtags stuff. It's really all about getting engagement. Well you start by engaging. You've got to give first you've got to go be active. So one of the cool things is when you're searching for your hashtags, look through Instagram for people who are using those hashtags, people who are posting similar things, and start giving them hearts. Double tapping the picture is another way to give a heart. Leave them comments, “You're doing great” “Looking good” etc, etc. Now you're following them not playing a follow/follow-back game. That's the old school way of doing it. Another way to kill your accounts engagement. You really want to engage. If you're into horses and that's what you do go... find people all over the world who breed horses, ride horses, and race horses. They look back at you and they see oh you've got horses too. You're doing that same thing great. They're going to follow you. All of a sudden they start engaging and you build these micro relationships. That's what you're doing and you need to do this over and over and over again love reciprocation is real. So if you go follow, like, and comment on other people's stuff they're going to then go look at your stuff and like and comment and hopefully follow as well. Using Russell Brunson as an example in my niche again. 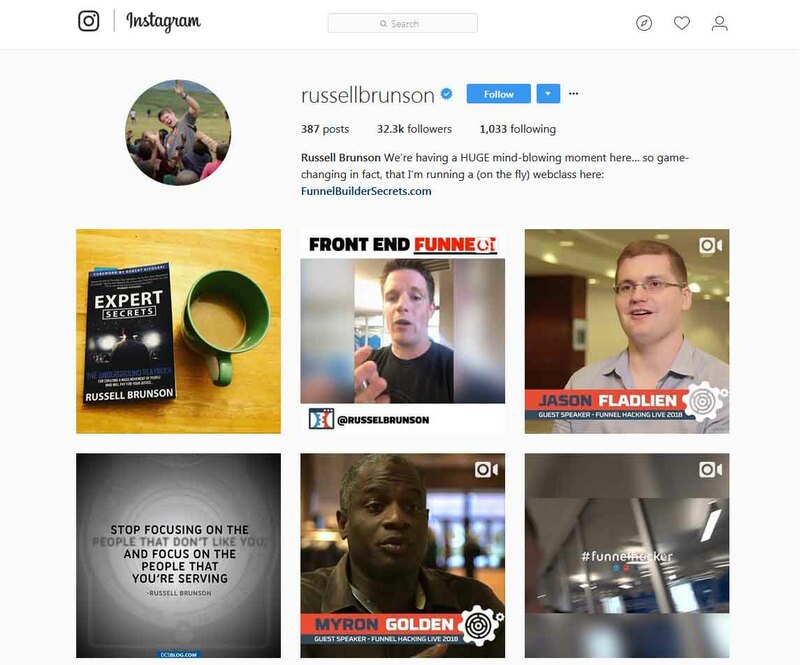 I don't care to get Russell Brunson as a follower but I do want to get Russell Brunson’s followers. So what I do is I go into Russell Brunson most recent comments or his most recent pictures and I look at who is actually commenting and engaging with him. I go engage with the people, who engage with Russell Brunson. I look at people who are commenting and liking his stuff. And then I go comment and like their stuff to build a micro engagement with them. I'm doing this with people who have 5k to 15k followers and I'm really trying to find who are the most engaged followers on their posts. I go engage with them because I feel like there's a high likelihood of them engaging with my Instagram account. So when I put up new content, they engage, and that triggers the algorithm to get my content displayed by more people. If you engage with people who have commented on the most recent post, someone who just commented on that picture 10 seconds ago, they're probably still online. So focus more on the more recent posts and engage in that way. The other way of engaging dive deep into your hashtags. So if angel card readings is one of your hashtags, search the angel card hash tag and engage with other people who posted with that hashtag recently. As well as the people who commented already on that most recent post. I don't mean nonstop around the clock. I mean microbursts of engagement and time. Doing that for five minutes, six to eight times a day, in the morning, midday, noon do a little burst of speed. You're going to reach people all over the globe because as we already covered it's a global audience. The goal is not to go in and do this for half hour one time per day and that's it. You need to spread that time and energy out. Your timeline is going to have different people in it. When you reopen it in three hours from now, there's going to be other people online then. 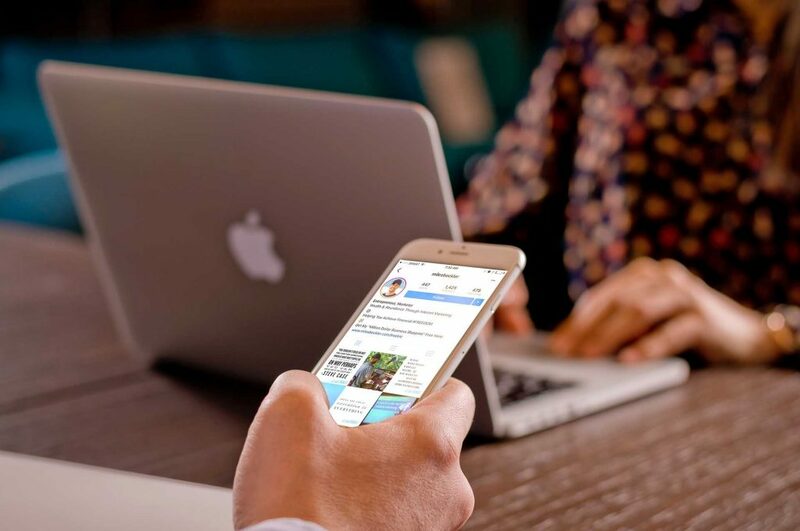 Direct Messaging people to engage and build deeper relationships is another way to start and deepen those micro engagements. What works for me in my niche might not be best for you in yours. The main power of Instagram marketing is the ability for direct communication with current non followers, hashtags, and your brand’s magazine. When it comes to the entrance into your funnel, for figuring out which post types work best, for stories and live videos, analyze the results and adapt. All of this takes energy but once it's working for you it's really really powerful and it's worth all the effort in the long run. This can be figured out by trial and error, you start posting random stuff and see what comes of it. Or you can spend an afternoon or two of research and a $9 app that even has a seven day trial and have a more focused approach. Model what's working really well for the big influencers in your space and create your own version based on their data. Have a main call to action up get people into your funnel because that's where the real power is. And as with organic marketing, where you're doing content marketing, give more value than the asks that you have. Give give give then put up a promotion. Put a lot of positive energy out and be more of a giver than an attempted taker on the platform and you will be rewarded. Hi Miles, I started watching and reading your content yesterday and am really enjoying it. I signed up for a trial on Clickfunnels but have not liked the idea of sending leads to a domain I don't own even though it can be masked. I used Beaver Builder theme for Active Atoms but am looking to switch to Thrive as I have about 5 other websites (all separate businesses) that all pull a good amount of organic traffic and thinking I can duplicate the systems. Right now I don't use any funnels for my organic traffic. My question is what do you do for social augmentation? Do you use a plugin? From your videos it looks like you use Thrive themes, Active Campaign and Awebber to create your "Clickfunnels" system right? Thanks, Miles. Your article deserves a lot more love than it's getting. I couldn't figure out how to hashtag in Instagram until I read this. I'm going to check out milesbeckler.com. I'm sure you have some more advice worth reading. I appreciate you trying to help those of us new to all of this and trying to pick it up sooner rather than later. I'm currently marketing a theater production that deserves a sold-out audience and it's amazing how endless the avenues for getting the word out can be. Thank you, thank you, thank you! Cheers. And good luck with your production!